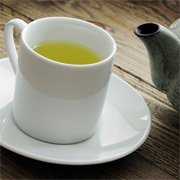 Premium Sencha comes only from select quality tea leaves, which are picked in the early spring. The fresh leaves are immediately deep steamed and processed, resulting in a thick-rich, slightly-sweet taste and dark green color. Choose Premium Sencha when only the best Sencha will suffice. Enjoy a very flavorful taste of springtime in every cup.